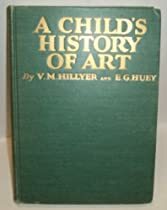 “Now, animals can learn to do a good many things that human beings can do, but one thing an animal can’t learn is to draw… Every boy and girl who has ever lived has drawn something at some time. Haven’t you? You have drawn, perhaps, a horse or a house, a ship or an automobile, a dog or a cat. The dog may (not) have looked just like a cat or a cat-erpillar, but even this is more than any animal can do” (1933, Ch. 1, p. 4). Our strawberries have reached peak-production.. We have been eating strawberries everyday for 3 weeks now, and we honestly could not eat anymore. This is when we decided to make jam! Combined Sure-Jell, crushed berries, rhubarb, and water and brought to a rolling boil. Added sugar and brought back to a rolling boil. After one minute, removed from stove and poured into jars, leaving 1/2″ space before adding lids. Processed in a boiling water canner for 15 minutes. Made 5 pints and a small bowl on the side. More Free Printables from Sanctus Simplicitus! The more I visit this website, the more exciting things I find! Sanctus Simplicitus has free printable curriculum planning sheets, daily task sheets, and lesson planning sheets to make your life in the home easier. This is not all! Browse their site and see what you find. I might also recommend their Holy Simplicity Planner if you follow the 1962 Roman Missal in your home. This is a planner that allows you to keep track of the lesson plans for 4-5 students in ONE place! Included is also room for your weekly meal plan and much more. If the children are napping a bit longer than expected, I often have a few spare minutes to whip together a dessert. This particular type of dessert lends itself well to a child’s help, too. What goes in the bottom? 1/2-1 stick of butter mixed into the above dry ingredients either by child’s fingers or mom’s pastry knife. *Please remember that I do not measure anything, so these are estimates! We harvested Horehound today. It is recommended that Horehound be harvested while it is in bloom. This is contrary to when many other herbs are harvested, which is usually before flower shoots are sent up. Here you can see the small flowers of the Horehound plant. They remind me of Lemon Balm. We harvested the top half of our plants, cutting the stem just above a joint with one leaf on each side (Think of basil here!). Once the Horehound has dried out, we will make Horehound candy and cough drops! I do so love harvesting herbs! Today we harvested thyme and lemon balm, since I did not have a huge amount of either herb. Lemon Balm: Here, too, the time to harvest is when the plant is lush and before it flowers. You may remove up to half the plant. I like to cut the stem just above a joint with one leaf on each side. This seems to make it easier for a new batch of fresh foliage to emerge for a later harvest in the summer. Thyme: The time to harvest thyme is when the plant is lush and before it flowers. You remove the top third of the plant as shown below. I like to cut the thyme just below the freshest growth. Lemon Balm: Hang-dry. Thyme: air dry. A wonderful discovery! A friend from my homeschool co-op lent me these books to review, and I immediately fell in love with them! Primary Language Lessons is a reprinted copy of the original 1911 edition and is recommended for children ages 7-9. The youngest students can begin with this series with Primary Language Lessons by using its picture studies to create oral compositions that can be recited aloud. The student’s own sentences can later be used for copy-work practice. In addition, the poems found in this book are treasure troves of rhyme. 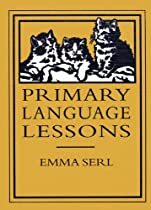 Intermediate Language Lessons is a reprinted copy of the original 1914 edition and is recommended for children ages 9-12. This book takes the same approach as the first, but it includes longer literary and poetic passages, introducing the student to even more elegant language. Both books incorporate handwriting, copy-work, dictation, narration, composition, poetry, picture study, and grammar! Most exciting is that both books include elegant language, not simplifying sentences to the point that students of these ages are only exposed to very simple English words and sentences. Chocolate Chip Cookies are Easy! That’s easy to remember, right? While your butter is melting in a cast-iron skillet, mix your flour, salt, and baking soda. Set to the side. In a bowl, add the sugar. Pour melted butter over the sugar. Stir until sugar is well-mixed. Add 1/2 of the flour mixture. Stir well. Add the vanilla and the rest of the flour mixture, stirring well. I usually spoon the cookie dough onto cookie trays right away, but you can place your dough in the refrigerator for a while. This will allow you to make plumper and rounder cookies. Today, we harvested Peppermint from the garden! The time to harvest mint in the spring is before it sends up shoots of blooms. This is very similar to harvesting basil if you are familiar with that herb. When the time is right, you simply cut the top half of the plant off just above a pair of leaves. This is the first harvest. You will be able to harvest the mint again during the summer before it blooms. Then, you should allow the plants the chance to bloom in the fall. I will be hang-drying this bunch and the second bunch from today for teas later in the year. The next harvest will be used for candy along with the horehound.